Ladies wearing angel wings drink champagne for free all night! 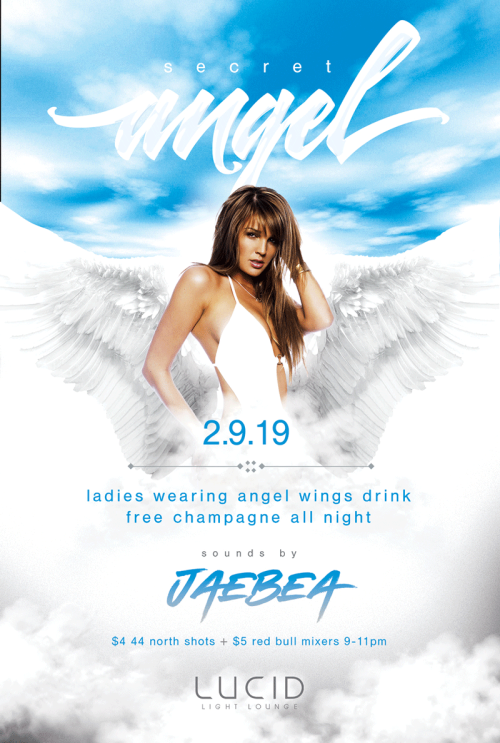 Join Energy 106.9fm resident mix DJ JaeBea for a heavenly evening. All are encouraged to wear white clothing and angel wings! We'll also be celebrating many birthdays including our General Manager– Donato's!